The Bishop of Reading, the Right Reverend Andrew Proud, has announced he will retire next year. Bishop Proud returned to the UK in 2011 to take up the role, having been Bishop of Ethiopia. In a letter to parishioners Bishop Proud said it had been a "joy" to ordain priests and confirm "so many". 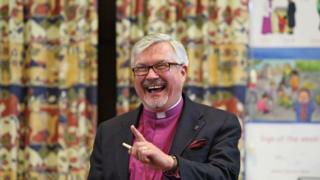 The Bishop of Oxford, the Right Reverend Steven Croft, said Bishop Proud had been an "enormous gift" to the diocese. He said Bishop Proud "set humility, prayer, and the mission of God at the heart of his ministry". He added: "He has brought to the diocese a passion for the global church, and he has been a pastor and an encourager to many across the Berkshire area". Full details of the Bishop's departure are yet to be announced, but his last official engagement will take place on Easter Sunday 2019.